Biodiversity immediately suggests a lush forest, populated by a myriad of animal and plant species! But biodiversity is not just this! Life means to be an infinite number of environments, with surprising results. Deserts, volcanoes, mountains covered with endless ice, even the most extreme and inhospitable ecosystems, can be the “home” of animals and plants that have adapted in the name of survival. 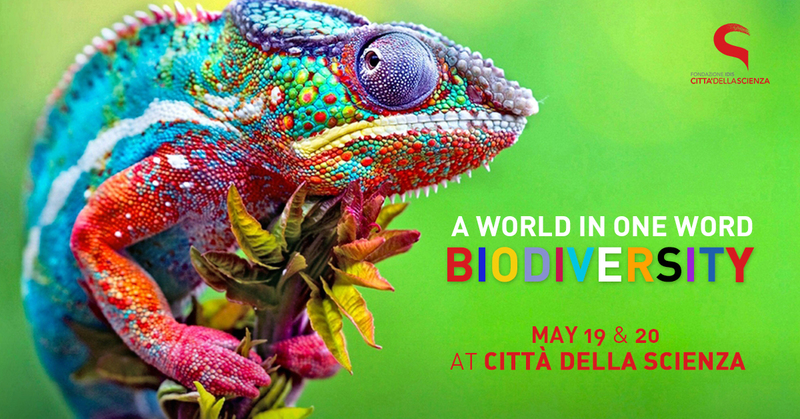 Next May 19th and 20th, Città della Scienza celebrates the day of Biodiversity celebrated on May 22nd, with many activities and workshops on this issue as usual: protecting biodiversity is appropriate for the whole planet, but above all for man! The European Union has been supporting the conservation of our unique and precious natural heritage for 25 years. To celebrate this milestone and mark a quarter of a century of the EU Habitats Directive and the Natura 2000 network of protected areas, on 21st May it is officially designated as “European Natura 2000 Day”. Discover the activities scheduled for this weekend to promote the Natura 2000 network! In addition, on Sunday, the presentation of the book “The monitoring of wintering water birds in Campania (2006 – 2017)” Monograph No. 16 of the ASOIM by Dr. Maurizio Fraissinet – Ornithologist, President of the Southern Italy Ornithological Studies Association A.S.O.I.M, will be hosted in our spaces. This volume is the result of the jointed work of several fans who, coordinated by the ASOIM, go in winter, even with problematic weather conditions, to carry out the censuses of waterfowl, thus contributing to the knowledge of the natural phenomena of the Region, a fundamental prerequisite for implementing actions to safeguard the territory and the environment. Also for this weekend, you can also admire the photographs of the exhibition “Variconi – The Land of the Sunsets of Fire“, a tale of evocative images of the Variconi area, a wetland of international importance included in the areas protected by the Ramsar Convention and among the Natura 2000 sites. Through the photographs of Gabriele De Filippo, we will observe, from a privileged perspective, eyes that live and love those places, the contradictions between the socio-economic degradation of the territory and the desire for redemption by nature and man in those areas. And again, if we talk about Biodiversity, we can not but pay homage to the father of all Naturalists, Charles Darwin! Would you like to feel like him during one of his explorations on the Galapagos Islands? Try it in the “Biodiversity Laboratory” and let yourself be fascinated by biodiversity like a Darwin for a day! For children, a narration will take you to the discovery of the animals and you will be able to draw them using only your fingerprints. Take part in the workshop: AniMani! What’s in a drop of water? Sometimes we do not think about it, but every single drop of water contains thousands of life forms! Let’s learn together to observe the microcosm that surrounds us in “Life in a drop of water. Protecting the planet also means that everybody must be more engaged. Earth, unfortunately, risks being ‘choked’ by the plastic with consequent loss of biodiversity: by 2050 will be added another 33 billion tons of plastic, equal to a row of lorries 800 times the Earth’s circumference. The risk of ‘stifling’ the environment can, according to a study by researchers at the University of California at Davis and published in Nature, could be reduced considerably only through the use of biodegradable plastics. With “A “future” of Bioplastica” come to discover the negative effects of plastic on the environment and learn to “manufacture” and use biodegradable plastic materials. Finally, integrating the new technologies with a good dexterity discover together with your parents “Nintendo Labo”: turn a simple piece of cardboard into something different, a bike, a fishing rod, a plane or whatever comes to mind! Then, add a Nintendo Switch console to bring them to life and enjoyment is guaranteed! Win a race, catch a fish, play … With Nintendo Labo, everyone can experience the joy of building, playing and discovering. Have fun watching the workings of your creations: you could even invent new ways to play with Toy-Con! The exhibition dedicated to the sea can be visited again! Discover which new fish, molluscs and crustaceans live in our tanks following the guided tour “Marine Ecosystems”. During the visit, you will have the opportunity to caress some living marine organisms in our Touch pool! For yongest, “Biodiversity of our sea”, a laboratory where you can color fish shapes, inventing new species, and then, as for “magic”, make them appear and swim in a large virtual aquarium. BIT is back at Città della Scienza, the most loved guide by adults and children! he will answer all your scientific curiosities and not only … Where have you been in this time? What adventures will he tell you? Do not miss this appointment with “Talk to BIT”. Do not miss the guided tour of “Insetti & CO”, the new exhibition space dedicated to the spectacular world of insects and more. For every man on Earth there are over 150 million insects. “The six-legged giants” have conquered almost all the habitats of our planet … it’s time to start getting to know them better. The importance of small animals, insects and more, for the maintenance of ecosystem imbalances is often underestimated … Enhance their fundamental role in “Small animals, Great friends”. In addition to guided tours in Corporea, the first interactive museum on the Human Body in Italy, the 3D “Robot Explorers” returns to great demand to travel together with probes, landers and orbiters within our solar system.